Touch Mechanics » Online Versus Play is Here! Online Versus Play is Here! 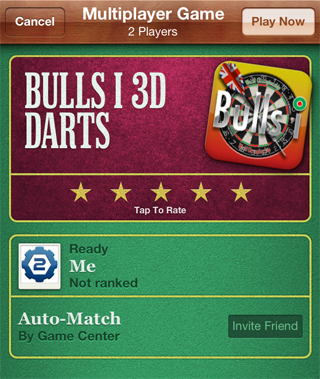 We are pleased to announce Bulls i & Bulls i HD 1.2.0 are now available! GameCenter online matches are here! Take on players online at 501 and Cricket and see if you really are the best! Better opponents in the professional tournaments that will require your best throwing skills to beat! We really appreciate all the great reviews and emails we have received. We have listened to your feedback and have worked hard to make Bulls i even better. Hope you enjoy the new versions! These are free updates for Bulls i & Bulls i HD customers.